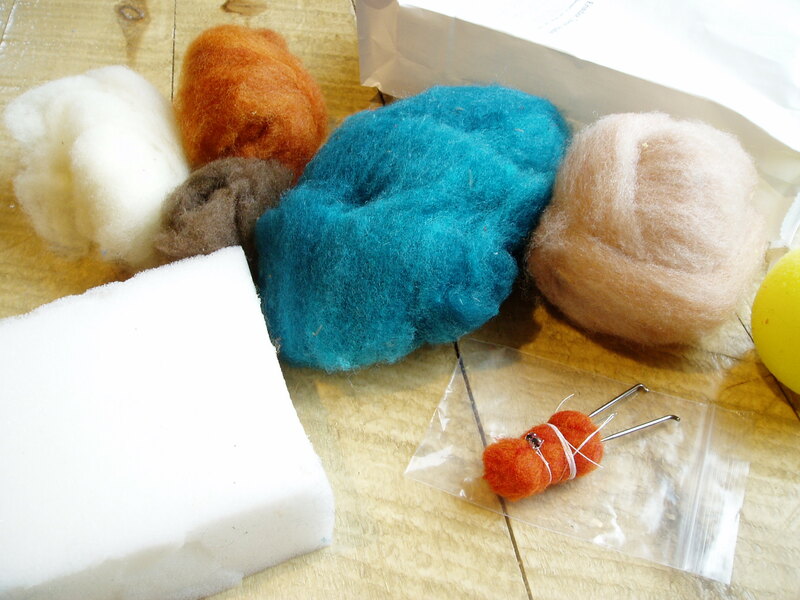 Needle Felting Kits are Here! Sharing the creative experience of needle felting with students has been both creative and rewarding. But what if I could package these classes into accessible forms that fiber enthusiasts anywhere could take home, gift, or share with family and friends? It has been a real journey developing this product, informed by my teaching experience and what I would like to see, if I was the student, in a needle felting kit. Fun projects with a cute result that can be completed in 3 hours or less. Video tutorial(s)–not a page with pictures and written instructions, as is common. Vibrant colors using wool from our sheep. Everything needed to start and complete the project. Light on packaging materials (who wants to buy a bunch of stuff that just gets thrown away?). For instance, many needle felting kits don’t include the foam work base or the sewing needle and thread for adding glass eye beads. But what if you’re up at your Northwoods cabin or staying at a resort and want a fun project? You might not have things like this ready for you to use. Result? Frustration! The idea behind creating the kits is to add inspiration and creative fun, not invite frustration. Ergo, the only thing the student needs is their hands and a scissors. A real part of the adventure for me was filming the needle felting process–breaking the material into lessons, setting up to Go Pro, editing the videos. Big thank you to Steve Barnes for helping that process happen and getting the tutorials online. You can view the finished lessons on the Tutorials page of this site! 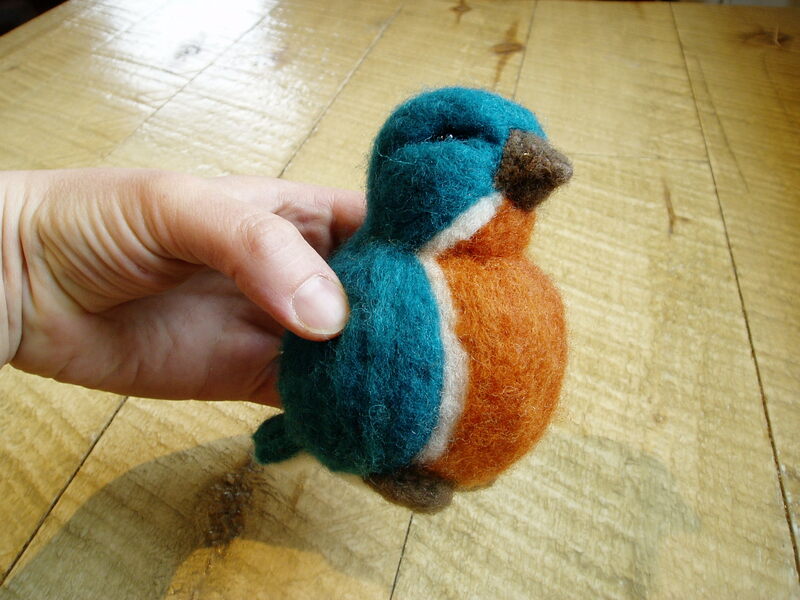 Another unique attribute used in my needle felting kits is a soft foam ball, upon which the bird body is built. I have really come to love this method because it’s easy to spend an hour making a felt ball of the same size, when instead I can wrap the ball with roving and then get a running start at the fun parts of my project. Students have appreciated this jump-start method as well, and the softness of the finished project is no different in-hand than if we had started with all wool. It might be non-traditional, but that’s how innovations happen. 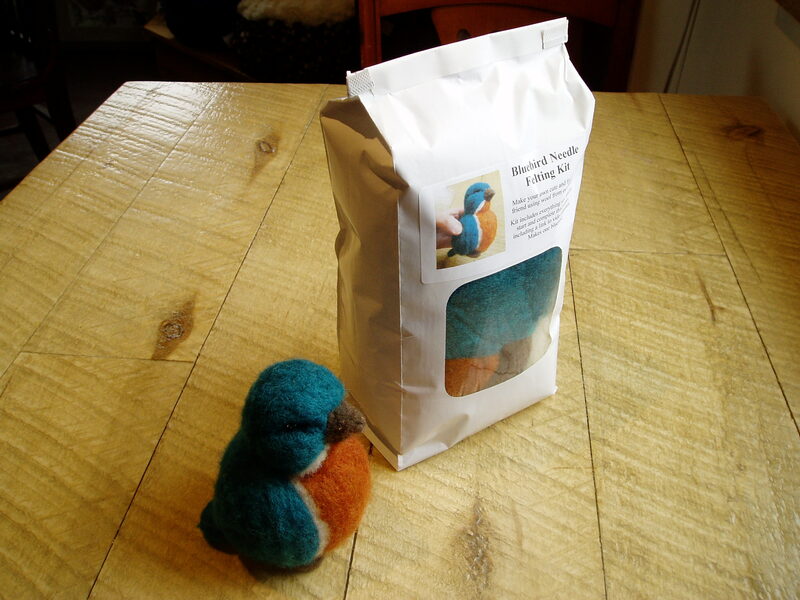 The Bluebird is only the first in a whole series of planned needle felting kits. And as we slowly edge into spring on the farm, I know that I am looking forward to seeing the bluebirds again. But why wait, I can needle felt my own right now. You can too, with the kits available on my Etsy store. Cheers to this new endeavor to help share the creative fiber experience, and happy felting!